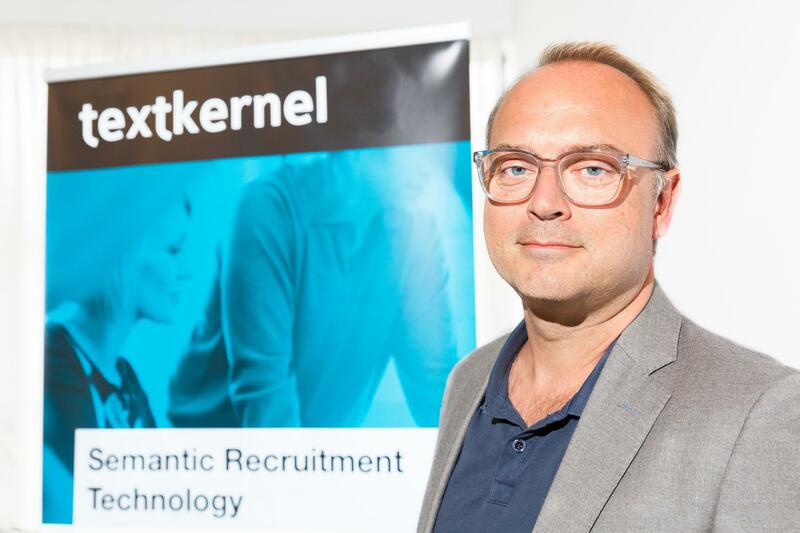 Textkernel’s CCO Gerard Mulder has a lot of experience when it comes to helping staffing firms speed up their recruitment processes with semantic search and artificial intelligence (AI). At Bullhorn Engage he will lead the roundtable session on how AI and semantic technology will revolutionize recruitment. 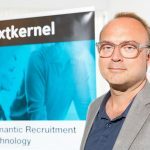 In his interview Gerard explains his ideas on AI, the biggest challenges in the recruitment space, future developments and Textkernel’s future R&D plans. AI seems to be the ‘next big thing’ in recruitment. What’s your opinion about it and how do you see the future of recruitment? 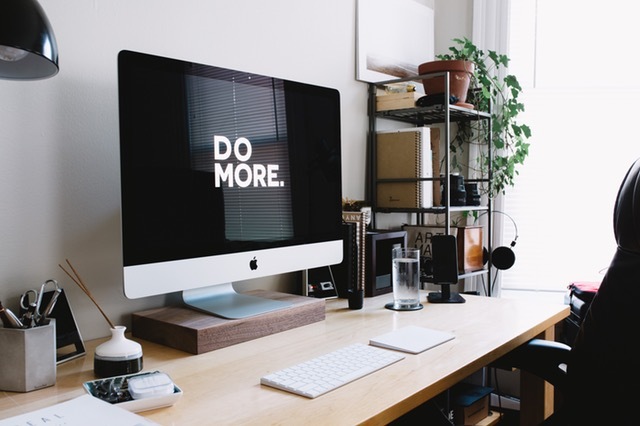 I sometimes ask customers “What would it mean for your business if you could place every candidate you’ve ever sourced?” or the slightly less ambitious “What would it mean for your business if you could get to a 100% fill rate of job requisitions?”. The use of AI, Machine Learning and Semantics in recruitment software allows for an ever-closer boost towards those goals. That’s ultimately why they will become more and more important. Applying these technologies in the right way will help you grow your business. Textkernel has been one of the pioneers using artificial intelligence and semantic technology in the industry. We now see this is being broadly accepted and very often even expected by the user without them realizing there is AI or semantic technology behind the functionality they’re using. Textkernel provides labor market intelligence, smart parsing and matching solutions to its customers. Still, we do not actively promote fully automated matchmaking yet. We know that our solutions can help recruiters when it comes to saving time creating shortlists, leveraging existing data and accelerating the hiring process, as well as to quickly discover new opportunities, but the essence of recruitment – picking the right match between people or convincing a candidate to accept a job – still requires human interaction. For the next 5 years I expect that AI and semantic technologies will gain ground in every function within the staffing industry. For the people working in this industry I expect this will open a lot of opportunities, but also a necessity to quickly adapt. What are the biggest challenges for the recruitment space at the moment and how can semantic search and AI help? There are many challenges today, that lay beyond the direct influence of any single staffing agency. One of those is actually influenced very much by AI and how AI changes the world of work in general. Some people fear AI will eat people jobs, I would like to say “Textkernel delivers AI to find people jobs.” But let’s focus on some on which you can have a direct influence by using semantic search and AI. One of the biggest challenges right now is the shortage of skilled labor, but increasingly any job is becoming harder to fill. This also means there are more opportunities. If you are able to provide for this need, you can grow by getting more assignments. Semantic technology and AI can help by finding the best candidates faster. Using taxonomies and context, for instance, help overcome the language gap between recruiters (job descriptions) and candidates (resumes). Intelligent technology can give additional insights to help agencies recruit for these professions. For instance, one of our customers is analyzing their candidate data and finding out what professions other successful candidates had before they did this role. They’ve been very successful in recruiting people whom they would not have found with regular search. Getting these type of insights used to be very time-consuming. With Textkernel automatically classifying resumes and each position they’ve had, it becomes a lot easier to compute and search for these patterns. Another increasingly common example is that some of our customers are using multiple systems, but they would like to be able to search all of their candidate data and job data in one place. AI and semantic search technology are enablers to make that possible today, relatively simply, whereas in the past these kinds of projects would take forever. Finally, in today’s world you could say we have an information overload, but all this information can be very valuable if you can turn it around into actionable data. I see the information overload as one of the challenges, which semantic and AI technology can help turn into a strategic advantage. Textkernel focuses today on finding the best matches out of all candidates in your database and on external job sites and social media. But also identifying matching employer jobs out of millions of job postings on the Web, so you can, for instance, quickly redeploy candidates coming off assignments. Trying to do this manually is very time-consuming. Making use of technology that’s already out there can be of great benefit and give you that competitive edge. There are many start-ups and new players on the market promoting AI and automated matching. Do you think recruiters are ready for a fully automated matching process? I don’t think most recruiters are ready yet to fully trust a black box matching engine. They do not believe that an algorithm can select the best candidate all by itself and need to be in control. Besides deciding for themselves which candidate or job fits, staffing agencies want to have control over what they deliver to their clients. Whether the technology is ready for it, is another question. AI has been making huge progress in the last few years. For certain roles it could be possible today, depending on the profession, the job specs and the available data. It will be an exciting time to see how fast the technology will progress, how this impacts the role of the recruiter and whether recruiters are ready to embrace it. Textkernel is working on many R&D projects. Can you share some new innovations with us? At Textkernel we have several R&D teams constantly working on cutting-edge ideas to further improve our products. For some years now we have been working on research into Learning to Rank (LTR). With this state-of-the-art Machine Learning technique we can automatically fine-tune our matching algorithms based on user feedback. We can gather feedback in explicit ways (asking recruiters which results are relevant for their query) and implicit ways (such as measuring clicks by the user or which candidate has been invited to an interview). We can create ‘re-rankers’ based on a user’s feedback, which will optimize and personalize the matching algorithm. This is ready to go to market soon. Another important research area is Deep Learning. With Deep Learning, large amounts of text data are processed through algorithms to automatically learn the meaning of similar words. We are using this to improve our ontologies as well as job and resume parsing. Lately, Textkernel has been making great progress in improving our language models for resume parsing based on Deep Learning research. I can’t go into more detail at the moment, but you can expect some big news soon! As Chief Commercial Officer and co-owner of Textkernel since 2005, Gerard Mulder has helped build up Textkernel to the international company it is today. Gerard is passionate about recruitment innovation and technology and in his spare time loves rowing, playing chess and supporting and coaching football.